Syrian crisis: “It’s better than living under bombings"
Najah, a grandmother from Idlib, fled from Syria and is now living in northern Lebanon where she receives medical care from Médecins Sans Frontières (MSF). For the past four years, 59-year-old Najah, from Syria, has lived with her son Ahmad in Al Minieh, northern Lebanon. Sometimes she finds it lonely being a refugee. She can’t get used to not having her eight other children nearby, her 13 grandchildren playing around her feet, and the whole family sitting down together at mealtimes. Now, Najah’s children and grandchildren are dispersed across seven countries and three continents – from Syria to Turkey, Iraq, Austria, the Netherlands and Australia – while she dreams of the day when they will all meet up again. Born in Idlib, the first time Najah left Syria was soon after she married. She and her husband, Nuhad, travelled to Kuwait to start a new life. They lived there for 14 years, and seven of their children were born in Kuwait, before the 1991 Gulf War forced them to return to Syria. The next time that Najah left her home was in October 2012. This time she had no choice. “I didn’t want to leave my country, my parents and my neighbours, but the situation was so bad that I thought I would just go for a while,” says Najah. She packed a small travel bag of clothes, and with her daughter, Shaimaa, and her son, Ahmad, headed to neighbouring Lebanon. For the past four years, 59-year-old Najah, from Syria, has lived with her son Ahmad in Al Minieh, northern Lebanon. 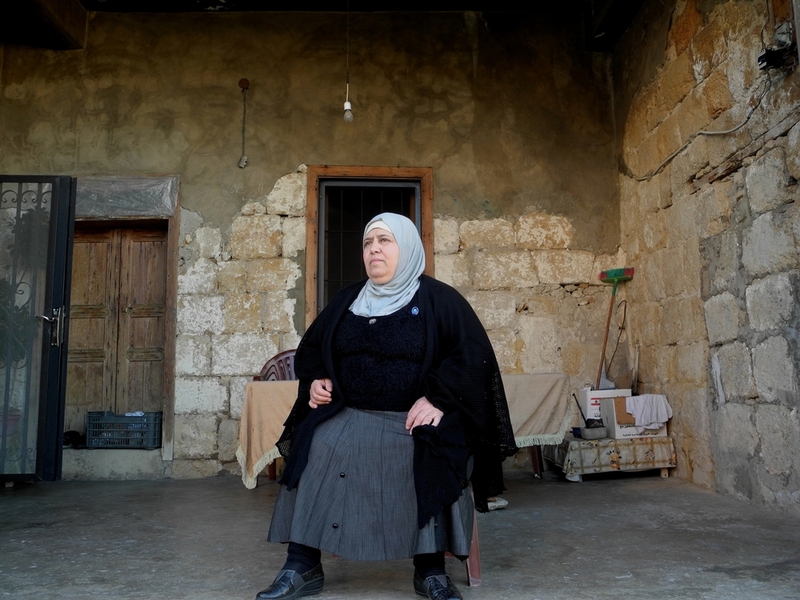 Her husband, Nuhad, joined them, but returned to Syria to collect his pension, which would have been enough to cover their living expenses as refugees in Lebanon. But Najah has heard nothing from him since. As well as worrying about Nuhad, she is worried about where she will find US$400 to renew the residence permits that will allow her and Ahmad to stay on in Lebanon. Due to the restrictions imposed by the Lebanese authorities on refugees, Ahmad cannot find a job or travel freely in the country. Najah also has her own health problems to worry about. She is receiving treatment for hypertension at MSF’s clinic in Al Abda town, and was surprised to be recently diagnosed with diabetes. She puts her chronic conditions down to the pain she has experienced in the past four years, and her mental condition, but she’s happy with the care she is receiving, both medical and psychological. “The doctors here don’t only give me consultations and renew my medical prescription, but they also give me moral support and advice to help me cope with the diseases and manage them properly,” says Najah. Despite her worries, Najah is most often smiling. When she goes out to visit relatives or neighbours, she enjoys the chance to pass on news about her children and grandchildren. She counts herself lucky for having kind people around her, and for having escaped the bombs in Aleppo. Najah dreams of going back to Syria, but says she won’t blame her children if, after all that has happened, they decide not to return. “After all, everyone has a new life now,” she says.